Inquiry: Hard times for the UK’s regional museums? Britain’s regions are punctuated with museums and galleries that are stuffed with treasure. They are collections of deep importance to people who grow up with them: the Liverpudlian journalist Gillian Reynolds endearingly describes Vuillard’s Mme Hessel on the sofa and Cranach the Elder’s Nymph of the Fountain at the Walker Art Gallery, part of National Museums Liverpool where she served as a trustee until recently, as ‘my girls’. And across the country, museums are asked to engage with schools and a broader community, one not used to museum going; and to try and satisfy all their constituencies together without alienating any of them. It is a hard, sometimes impossible task. But besides such challenges, today museums share another problem: funding cuts and how to respond to them. David Fleming, the director of National Museums Liverpool, has described the situation as ‘bleak’. About a quarter of all jobs at Liverpool museums have disappeared since the beginning of the coalition government in 2010, and those are at museums that are nationally funded, a status that reflects both the exceptional nature of Liverpool’s collections and a need to protect them from sale by the city council. The situation at other museums that rely to a greater extent on local funding is often worse and more insecure. Julie Milne, chief curator of the northeast’s Laing Art Gallery, Shipley Art Gallery and the Hatton Gallery (multiple jobs have become very common) has already had to take the extreme step of shutting the Laing on Mondays, and these museums expect further swingeing cuts from the council. Ask me next year, Milne says. In London attention can be focused on the relatively minor woes of the capital’s great museums and galleries. But national collections in London, with their greater access to private funding, are far more insulated than their regional equivalents. Sixty per cent of Tate funding comes from non-governmental sources, whereas in Liverpool it is less than 10 per cent. Take a moment to think about that. Everything that regional museums are being asked to do to raise money – improving their cafes and shops, raising money by licensing the collections, renting out their spaces, applying for private grants, encouraging donations – all this only makes up a small fraction of their overall income, and they have been pursuing these avenues for some time. There is always more to be done, of course. 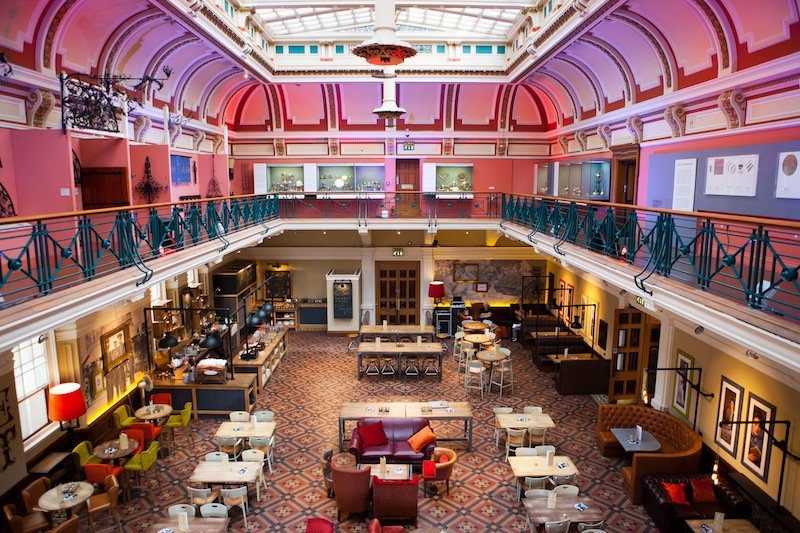 Birmingham Museum and Art Gallery, for example, has just revamped its magnificent Edwardian Tea Room, which deputy director Simon Cane tells me already shows healthy signs of profit. But there is no avoiding a law of diminishing returns: there are only so many weddings you can host, or catalogues you can sell, and alongside the desperate attempts to increase revenues there is much cost cutting. To the casual visitor many of England’s great regional museums look better than ever. Outstanding art is on display in fine buildings, there is access to the permanent collections, there are temporary exhibitions and there are visitors. It is behind the scenes that cuts are more evident. The staff of the various museums who have generously spoken to me have not quibbled about them – they are a fact – but they have put a brave face on providing services in the face of them. In the Laing Art Gallery in Newcastle, there is currently an exhibition of Thomas Bewick and his apprentices; entirely drawn from the museum’s own collections, it opened last November and runs until 19 October – stretching the definition of a temporary exhibition, but meaning that costs are low (and since Bewick is a great artist and a local hero, it is popular and appropriate). Exhibitions are important to the life of a museum – they keep visitors coming back and show evidence of a pulse to the outside world – but it is not easy to create cheap exhibitions that appeal on a regular basis. 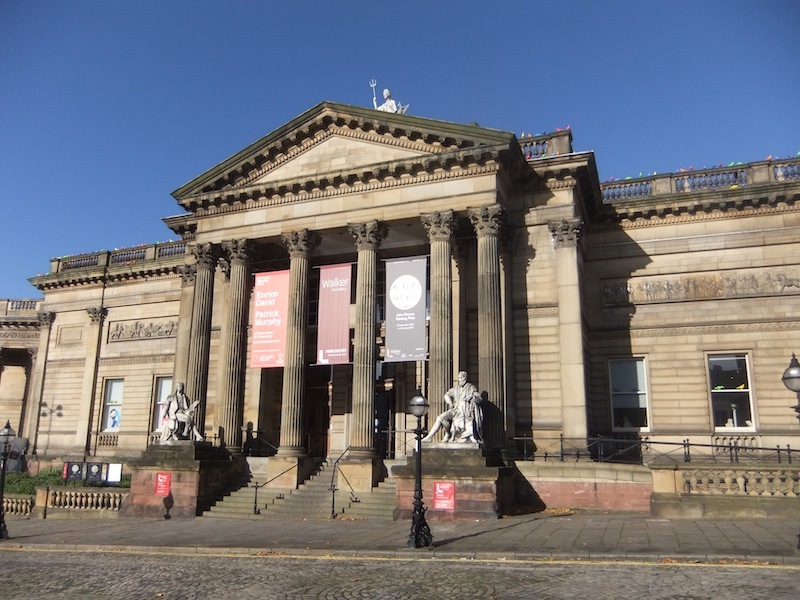 The Walker Art Gallery in Liverpool currently provides no access to works not on display, while the curatorial team complete onerous grant applications. Since the collection includes some 8,000 works on paper, as well as many significant paintings, that means a lot of public art is inaccessible to anyone outside the handful of people who work in the building. Sandra Penketh, the friendly director of art galleries at National Museums Liverpool, tells me that it is a situation that should be remedied well before the end of the year. These institutions present a glass-half-full scenario to the outside world. A curator who has recently left a major regional museum in the Midlands gave me the glass-half-empty perspective: ‘The present round of cuts will inflict permanent damage on many local authority museums taking some back to the…1960s.’ Staff have been lost, with their jobs not filled but parcelled out to others. Short term contracts are the norm. In many places, curators are not given the time or resources to research and travel; having fewer technical staff makes changing displays or preparing work for exhibition far more difficult; having fewer guards means reducing opening hours. Local government HR departments, which never used to look at museums because their budgets were considered insignificant, have found a culture alien to their understanding and push for outsourcing that will shift responsibility, regardless of the harm done to the culture of the institution. When it comes to scholarship and research, the regions are certainly far behind where they once were. Not long ago, the Walker had Alex Kidson, one of the outstanding scholars of 18th-century English art, as its curator of British paintings, organising exceptional scholarly exhibitions such as that on George Romney in 2002. Not any more. There are exceptions, among which Birmingham Museum and Art Gallery and the Potteries Museum and Art Gallery’s collaborative project around the Staffordshire Hoard of Anglo-Saxon gold is the most exciting. Elsewhere, however, the search for shows with mass appeal has led to questionable exhibitions – such as ‘Rolf Harris: Can you tell what it is yet?’ at the Walker in 2012 – which muddy the water about what a museum stands for. It is one thing to be anti-elitist and engage with big audiences, as the Bristol Museum and Art Gallery did to huge success in their Banksy exhibition in 2009. But it is quite another to promote dross. It has never been harder for museums to make acquisitions. The glory days when the great Sir Timothy Clifford could buy outstanding paintings by Claude and Canaletto for Manchester City Art Galleries are long gone. The main vehicles for adding to core collections are through the generosity of the Art Fund, and the Acceptance in Lieu (AiL) scheme, which offsets the transfer of art into public ownership against death duties. Tate Britain is currently showing Lucian Freud’s magnificent collection of paintings by Frank Auerbach (until 2 November) before they are dispersed among national museums and galleries through this scheme. But with the recent enormous growth in art prices, the capping of tax relief available through AiL at £40 million a year (a sum that incorporates tax relief granted through the recently created Cultural Gifts Scheme for lifetime giving) greatly limits its usefulness in developing all national collections and stemming the flow of major artworks out of this country. The principal job of any museum, however, is to look after the collection entrusted to it. Damage to objects or selling the family silver are therefore the worst things that a museum can inflict on its holdings. Damage usually happens in private, but sale is a public event and periodically there is a disaster that draws the attention of the capital and the national press. This summer has seen the sale to a private collector of a very significant object from Northampton Museum and Art Gallery, the 4,000-year old sculpture of an Egyptian court official, Sekhemka, which had been given to the museum by the 4th Marquis of Northampton and which the mayor and corporation had covenanted never to sell in 1880. The value of the sale to the institution was so large, even after the profits had been shared with the current Lord Northampton in order to circumvent the deed of gift, that Northampton Borough Council (Conservative) was happy to risk the loss of Arts Council accreditation, making it ineligible for a range of future grants and funding. This is a perfect example of how difficult it is for a local council to curate its collections. The graphic novelist, occultist and North-ampton native Alan Moore did know the importance of the sculpture, describing its sale as ‘catastrophic’. But council leader David Mackintosh could not see the big issue: deaccessioning the statue would raise money for a new museum extension, after all, and Mackintosh took no notice of local, national or international opposition any more than he did to the complaints of Northampton’s most celebrated living creative son. When the councillor claimed that Sekhemka was peripheral to the collections, he failed to recognise that by engaging with the sculpture, Alan Moore – an inspiration to a generation of comic fans – had both demonstrated the tremendous importance of having major artworks in Northampton and given the sculpture itself a vast local significance quite beyond the history of noble travel and philanthropy in the 19th century. to become an artist. Lowry’s home town of Salford wisely built an enormous collection of his paintings from the 1930s onwards, and when in 2000 the city launched a new arts centre – which has been widely heralded as an economic triumph – it was named after Lowry himself, and included a couple of modestly sized galleries to show the collection. It seems unlikely that without the connection with their famous native they would have had anything like their success to date. But even where the relationship between a great artist and economic benefits are blindingly obvious – as in Bradford, whose good fortune in being David Hockney’s birthplace has brought jobs and tourism through the opening of a permanent exhibition of his works at the Salts Mill complex – stupidity can take hold. Bradford Metropolitan District Council (Labour) angered the artist last November when opposition councillors suggested selling work by him to help fund frontline services. If selling art can bring local councils the economic benefits they want, then those councils are fair-weather friends. In 2010, Southampton City Council announced its plans for a new arts complex to go at the centre of Southampton’s cultural quarter, a project that has thus far received nearly £8.5 million in Arts Council funding. But it includes no direct plans for the city’s existing, nationally important collection of art in the Southampton City Art Gallery, which has its roots in local philanthropy. Housed in the fine 1930s council building, it has benefitted from particularly imaginative collecting by its curators. But to visit that collection now is disheartening: there is a drab and unloved impression. Great works, including paintings by Wright of Derby, Stanley Spencer and Ben Nicholson, were not on display when I visited last year – or at least neither I nor the very nice but ill-equipped volunteer supervising the trickle of visitors could find them; it has been a lot easier to see Nicholson’s 1940–42 (two forms) on ‘Art Everywhere’ posters this summer than it was to find it in the gallery when I visited. And the council has threatened to sell works from its collection twice in recent years – to pay for roof repairs and to fund the city’s Titanic Museum. I assume, given the Arts Council funding that they have just received, that the council will not be carrying out that threat in the foreseeable future – but it has let us know very clearly where its sympathies lie, and is not keen for its plans to be scrutinised. When I requested an interview with a curator about the current and future state of the collection, it was refused by a council press officer on the grounds that this was a political issue. The landscape is uncertain for regional museums in the UK. I have looked at only a fraction of the great collections outside London. There are many more. It may well be that there should be some closures of smaller institutions, if only to ensure adequate funding for the most significant collections. If local councils cannot be educated, there is at least an ever-growing call to the museum-going and art-loving public, not only to keep visiting our museums but also to engage with them. Small acts of philanthropy will make a much bigger difference outside London. Isaac Julien, James Cahill and Thomas Marks discuss the inaugural Apollo 40 Under 40. Plus UK regional museums in crisis.